Fashion this Spring has decided to go slightly exotic with a surge of tribal influenced pieces make their way into the market. The tribal trend consists of strong, graphic prints that are often in earthy colors(although I love it in unexpected colors) combined with natural accessories. Because the patterns are oversized and strong it is often best worn in simple shapes and soft fabrics. I love that this trend is something everyone can easily work into their wardrobe. Even if you don't want to go all out you can simply add one of the currently popular tribal necklaces. This look relates perfectly to the gloomy weather we are currently experiencing where I live. I simply added a silver tribal design statement necklace with turquoise and cobalt beads and matching earrings to add a small touch of tribal feel. This comfy outfit with its warm earth tones of this Aztec print skirt combined with the leather shoes and necklace make it the perfect outfit to spend Spring days in. I love the soft peach and blue colors in this outfit and the feel that this necklace might have been something I would pick up on trip out West. A perfect laid back outfit for a day on a beach. The turquoise, the beads, and the fringes are all amazing. you made some lovely sets dearest! i'm glad u like my photos! u have a beautiful blog! I love the first and last look. that last set is awesome, its making me so excited for warm days and shorts! 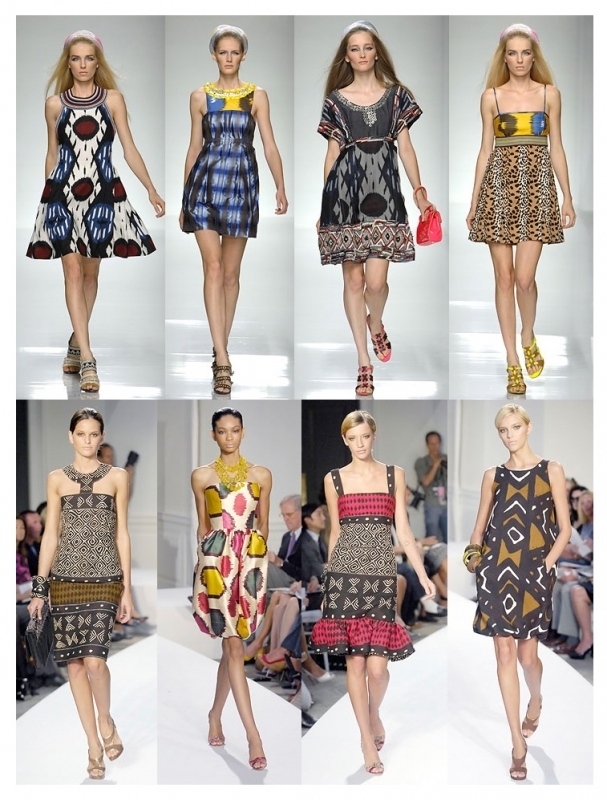 I love love the aztec look - thanks for this roundup of styles, it was really good! i looove to wear fun prints... they make outfits really special!